In order to create a vacuum the surface must be smooth, clean and soap free with no gaps or pin holes and avoiding any tiles cracks, joins or imperfections on the surface. Give your family re-use clean soap.with a ventilation hole for quick drying. 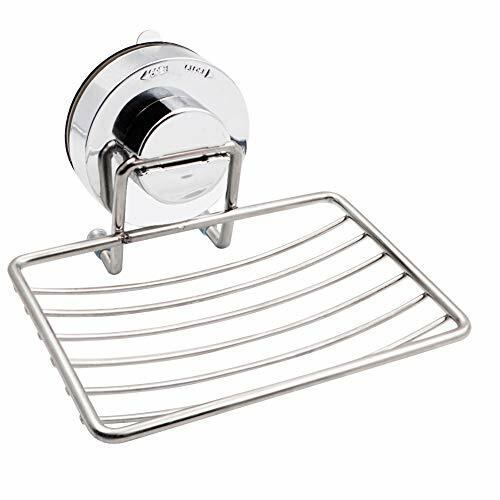 High Quality Material - This soap dish holder is made by stainless steel .which is rustproof and anti-corrosion and suction soap dish will extend the life of your soap, make maintenance a breeze and keep your dish looking new.